The City of Shell Lake is home to a thriving arts community. 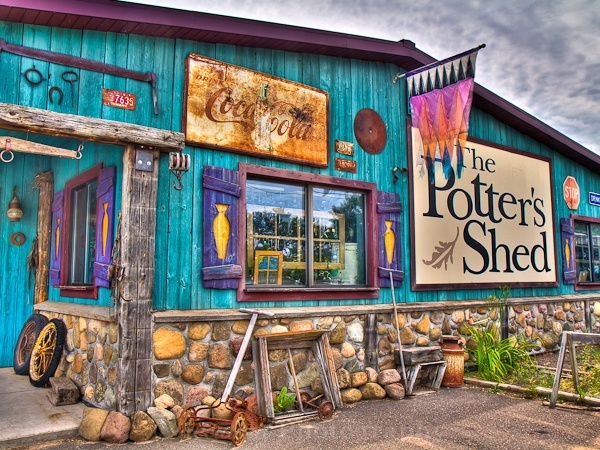 You can catch some music from musicians visiting from the Shell Lake Arts Center (the oldest, continuous running jazz camp in the nation), admire the two exquisite mosaics, spend some time at The Potters Shed painting your own pottery or building your own mosaic, visiting the area galleries, or shopping at one of the area art & craft fairs. 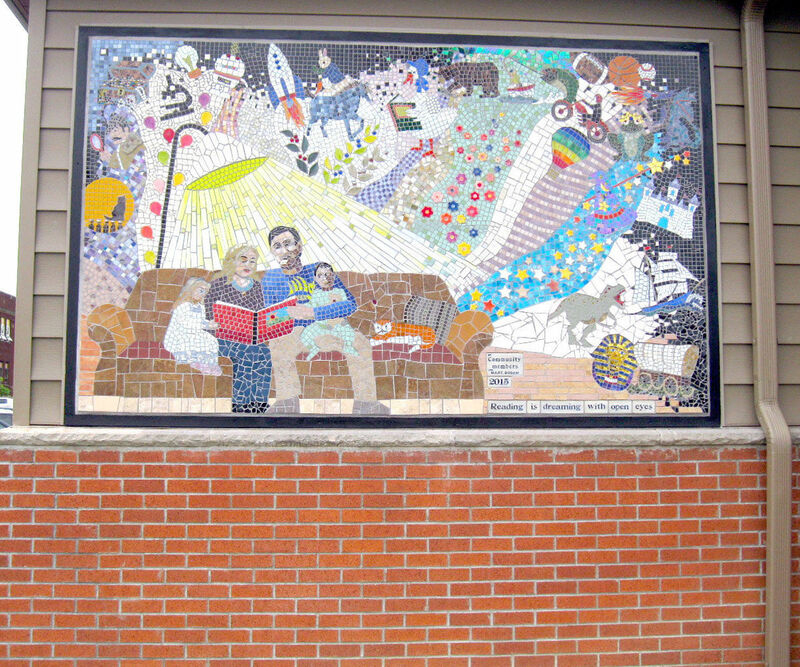 Located on the City Hall & Library building, this mural was created by Mary Dosch and several volunteers. 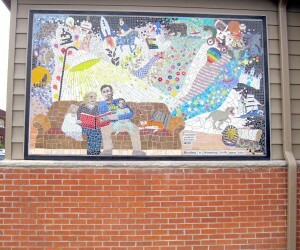 The mural represents the library and the community of Shell Lake. 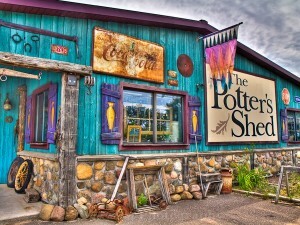 The Potters Shed, located on Industrial Blvd., offers a gallery representing over 300 artists from across the U.S. and Canada, a creative area where you can paint your own pottery or build your own mosaic, an artsy garden to enjoy a cup of coffee or one of the live bands who perform at the Music at the Shed series during the summer and early fall.